Nicole's Needlework: Spring is definitely here! I finished up the flowers and the little bees. 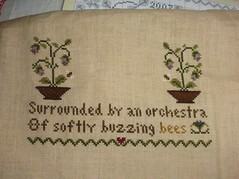 Next I'm going to stitch the rest of the words and then get started on the top half. It does get better Nicole!! And yes, to remember they are four is sometimes hard especially with the eldest. Love your new stitchy bits and recognise some of them are still in their bags in my stash. 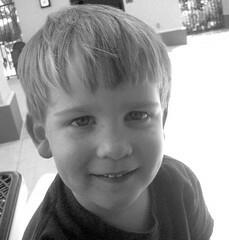 I know what you are going through I have a 4 & 5 year old now. It gets better I promise!